You need to drop the anime thing and focus on real proportions before you begin to stylize. Animu is a simplified version of the proportions of real figures, so you need that understanding of actual figure before you narrow it into aminee. I only began to get better when I stopped replicating bleach and naruto and worked on some real stuff. Well yup that the reference I used for the drawing. Well anime was the main style that got me into drawing. I see that your really good enough to tell that this is an anime inspired artwork. I wouldn't mind still drawing in this style but I have also been wanting to learn realism as well just can't find a good tutorial that can teach me well. Then I will be able to combine the two and semi realism as well. Anime can look fairly realistic - just drawing big eyes on something doesn't make it Anime. Anime itself is a simplified style with an line art approach for relatively easily animating movies/series. The style itself mostly erases critical stuff like the noses and a lot of anatomical detail in order to be easier to draw. Easier to draw for animation don't necessarily means easier to learn, since if you are just looking at things from an simplified end product, you won't ever know what's missing or why your stuff looks odd. you should focus on the first three things. That will help you with your drawing in the long run for every style. 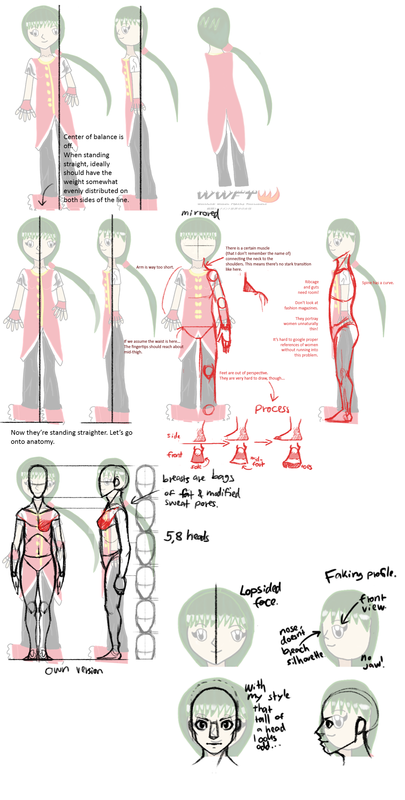 proportions are fairly easy to alter once you know how something looks realistically drawn. 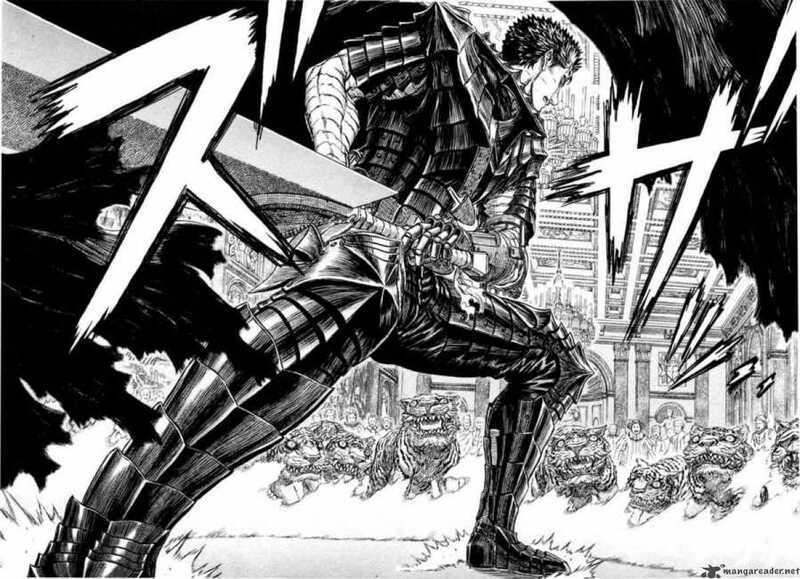 Anime and Manga also can look pretty badass, like anything else, if done on a pleasurable skill level. 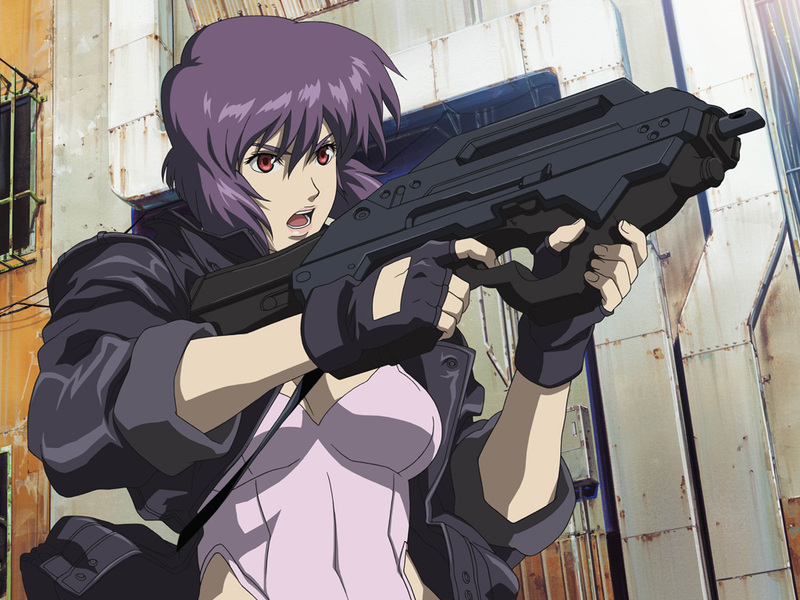 Yes I know Ghost in the Shell but not really Beserk though the things you point out are what I need to learn. In my art I have improving bit by bit but those things are still problems that I am dealing with. The light source within a drawing and doing proper shading. The reason for the big eyes it was how I had always draw it though it evolve from it was years ago. Old bad drawing of a character which I need to redraw an newer version of the character. This was back like four years when I had first started drawing digitally. Compare to now my drawing skills has changed somewhat though not much of a super improvement. This is why I am here in this group to get help to improve my drawing skills for digitally and traditionally. As well as the main reason improving doing pixel art which is the least experience I have as opposed to overall drawing and coloring. Thanks I will check out some of these tutorial and I seen that deviantart who does lackadaisy story it is really awesome. Did the sprites based on Mizuho was able to do it. This is the kind of spriting I want to be able to attain. Yes there are mistakes like the left arm was trying to get it right but couldn't and the feet. This was also based on a reference that I can remember to located. Was using a pixel tutorial earlier but stop due to not understand it. I was for the most part but it was not coming out like the image. So this was done on my own I will probably try another tutorial again. You should try to make smaller sprites, cause this is still just pencil drawing not pixel art. Mizuho's pixels are placed carefully, yours is just free hand drawing. You're drawing a lot of things without volume and the shape makes them look very flat. It's your left brain is telling you that things are flat, but you should listen to your right brain instead. You need to consider perspective and how to achieve depth. This is much more important than learning anatomy as it involves thinking in 3D. I was making smaller sprites but there was not the type I was going for. 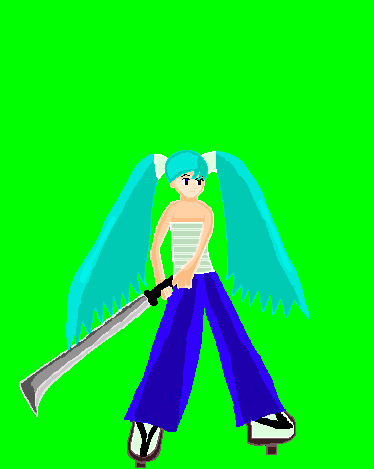 The way Mizuho was doing was what I was going for I guess I told I had it right but I did not. Oh well seems like lots of different views. Both anatomy and perspective are things that hard for me to do and I'm trying to learn both.